for $249,900 with 3 bedrooms and 2 full baths. 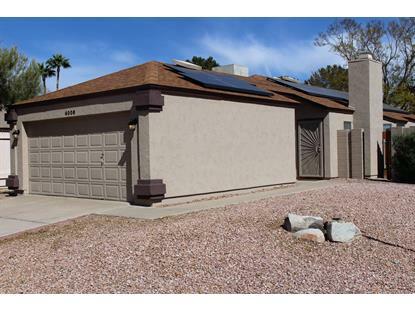 This 1,248 square foot home was built in 1988 on a lot size of 5164.00 Sqft. This is the one! Recently updated and fully remodeled. This charming 3/2 home is clean and move-in ready, with fresh paint inside and out! In the front you can see the low maintenance desert landscaping on your new corner lot. Once you enter the home you will see the fresh new laminate flooring and wood-burning fireplace in the living room. It features faux blinds for energy efficiency and updated cabinets throughout. See the spacious master retreat with bath and walk in closet. On the outside, the home has a large covered patio AND 100% PAID OFF SOLAR PANELS. Say goodbye to high summer electric bills!! Great location close to Six Flags Hurricane Harbor, a beautiful golf course, and plenty of hiking trails.